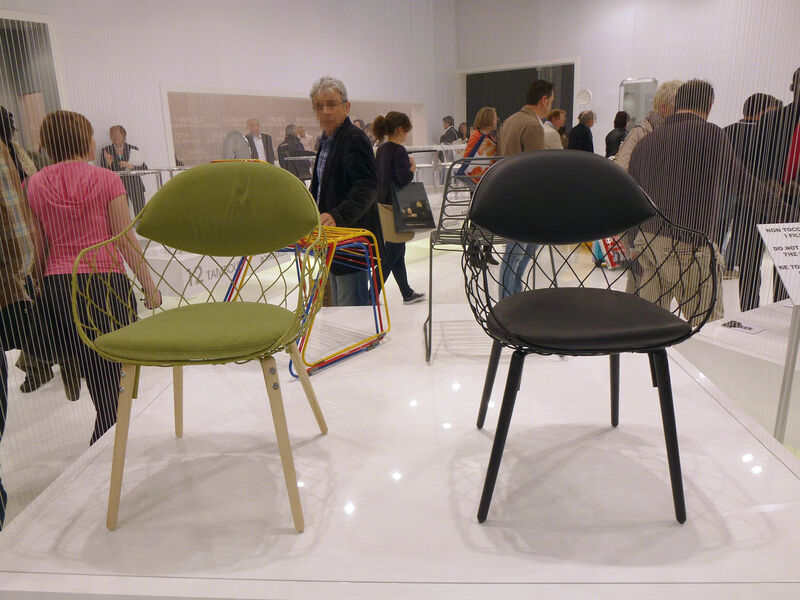 Pina is designed by spanish designer Jaime Hayon. The piece combines the natural element of wood, with a wire capitonné structure. 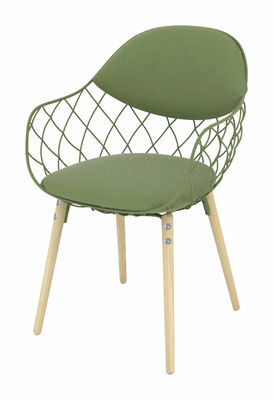 The wire weave pattern which makes up the back of the chair makes the seating unit seem as if it is inflated.